Anyone following the 2014 Olympics will have heard Kate’s name. She’s the luger who warms up listening to Beyonce and has no shame in it. A GIF of Kate dancing to music in her headphones went viral and has been imitated by other athletes competing in the Olympic Games. Kate’s trademark warm-up originated when she had a broken foot in fall 2013 and had a hard time getting motivated to compete. Her spunky attitude is infectious and inspires others throughout the Olympic village. Kate’s entire attitude about being at the Olympics is inspiring. Yes, she doesn’t care if people catch her dancing to Beyonce, and she also didn’t have a fit when she didn’t medal in luge. 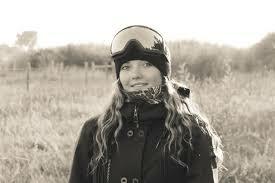 Her goal for the 2014 Winter Olympics was simply to make it in the top-ten, and by placing tenth she achieved that goal. Her teammate Erin Hamlin, who won bronze in luge, actually asked Kate to “bless” her medal. Kate knows that there’s more to the Olympics than standing on the medal podium. Some Olympic athletes carry an ego, but Kate reminds us that making it to the Olympics at all is a huge accomplishment and medaling isn’t the true mark of an Olympian. Kate was born in Burbank, California, and would practice luge by riding down hills with her back on a skateboard. She has been on the United States National Team since 2007 and in 2008 was the youngest Junior World Champion ever at 15 years old. 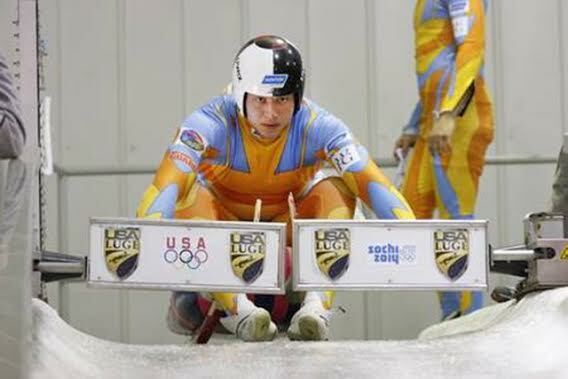 In October 2013, just months before the Olympic Games, Hansen won the USA Luge National Championship while competing on a broken foot. Hansen has a strong support system at home. The youngest of four siblings, her childhood was busy and full. Each of her siblings has sports to play, and their talents aren’t limited to athletics. Kate also has musical talent and pursues that when she can. Her childhood, while unusual in many ways because of her talent for luge, was also very similar to many other kids’. Yes she trained and competed hard, but she was also required to participate in family life and stay on top of homework, church responsibilities, and chores. Hansen’s family was a little surprised by how talented she actually is when it comes to luge. Throughout her training growing up, they never imagined that they had a world-class athlete on their hands. When Kate won the 2014 World Cup in Latvia, her parents were shocked at the level at which Kate was competing. It took a few days for the reality of the win to sink in for both Kate and her parents. Kate Hansen is a member of the Glendale 7th Ward, La Crescenta California Stake of The Church of Jesus Christ of Latter-day Saints (a faith often inadvertently referred to as the Mormon Church). She is currently a student at Brigham Young University in Provo, Utah, and took time off from her studies to compete in the 2014 Winter Olympics.